Depicting as one’s favorite character is also a trending activity these days. You like a hero from some movie or inspired by any celebrity’s public appearance, you can easily show your affection with those movie leather jackets they wore. To revive your young days, you won’t have to wait that long doing exercise or any special treatment. Just pick from our Movie Leather Jackets and be the stylish fan of that character you always praised for a particular scene. The charm and attraction these movie leather jackets creates is undenied and we understand this fact very well.This is the reason that we have not only beautiful but attractive leather jackets inspired by movies. Are you into music and love to wear movie leather jackets of particular celebrity? Well, you're at right place to find your next jacket that would stay with you for a long time to impress your peers. If you're in search of a light but stylish attire, do consider Zayn Malik's leather jacket with a hoodie on top. The zipper closure added at front is another beautiful feature apart from the stunning black color. The full sleeves ensure your safety against cold winds when walking down the road in cold nights. With zipper closure, you also get enough space to carry things around in those waist and inside pockets. Just wear it on and be a stylish fan of this singing sensation. If you're more into adventurous movies then you'd love to have movie leather jackets from Vin Diesel's hit movie series Fast and Furious. With each part, the celebs depicted a new fashion trend with a nice leather jacket they wore. And if you're a die hard fan of Dominic Toretto, you'd definitely fall for his burgundy colored leather jacket with a stand up collar and a buttoned closure added at front. The open hem cuffs make the whole attire eye catching and appealing to the viewer. The inside pockets allow you to carry important stuff handy on the go. Just wear it on and be more firm and macho in public. The fever of Marvel's numerous superhero character seems never fading any time soon. With each character, we get a nice leather jacket to treat our body. And if you're a fantasy lover, you'd have picked your favorite hero already. Try Captain America's casual leather jackets or wear on Paul Rudd's Ant-Man costume jacket to set yourself apart from the crowd. 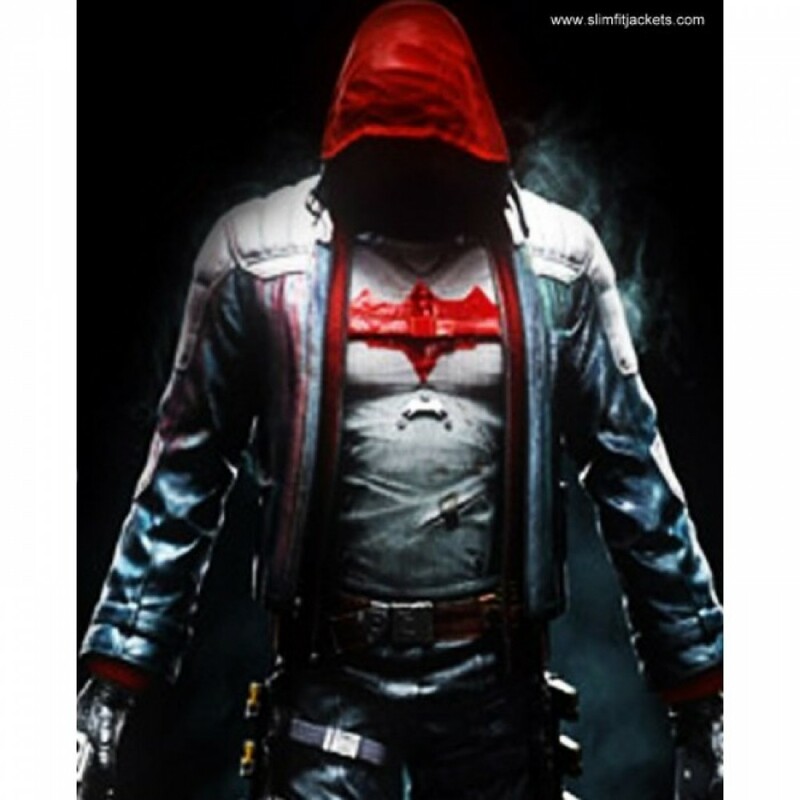 You'd find tons of stunning designs and color range in these superhero leather jackets we have for you at Distressed Jackets. All you need to do is navigate through different sections, pick a jacket that is according to your taste and from your favorite superhero character and wear it on to impress your colleagues and friends. If not superhero, you may find something interested in old hits like Rocky Balboa or Charlie Prince. These movies have set a strong trend with their costumes that are still in fashion amongst young guys and girls. So if you want to impress people with something classy, do check these jackets and be ready to experience the excellence in vintage style. Product FeaturesThree choices of materialInner of viscoseFront closure of buttonsPockets on the side..
FeaturesLong coatWoolen materialGrey and white colorCelebrity inspired outlookLoose style coatFull s.. Product FeaturesSleeves in full lengthBrown colorFurry collarsPockets on the sides..
BACK TO THE FUTURE MARTY MAYFLY LEATHER JACKETWhen I talk about the importance of dressing well, the..